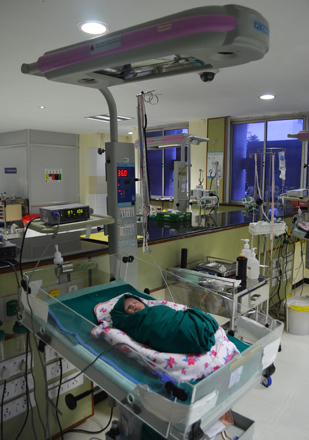 Paediatric surgery encompasses care of children before birth through adolescence and deals with various conditions including correction of congenital malformation, various cancer, injuries and conditions requiring transplantation. We have 3mm laparoscopic equipments for paediatric laparoscopic surgeries. There are specialized equipment for repair of cleft lip and palate, fulguration of posterior urethral valves etc. The history of success of paediatric surgery stems from availability of good supporting team. We have excellent supporting teams – neonatology suite, modern fluoroscopy suite and state-of-the-art anaesthetic and intensive care to attend to the special requirements of children.